On Saturday, former Cage Warriors middleweight champion Chris Fields and Irish jiu-jitsu black belt Tom King announced that their gym had “ceased all association with, and affiliation to SBG Ireland and SBG international” via a social media post. King was the first person to be awarded a black belt by John Kavanagh in July 2013 and Fields was synonymous with the gym’s early emergence as an international force when he claimed the Cage Warriors middleweight title in 2012. He later appeared on the UFC’s reality television platform, The Ultimate Fighter. Formerly known as SBG Swords, the north county Dublin gym will now be known as Team KF. Since the gym’s formation three years ago, they have most notably produced a Cage Warriors champion in middleweight James Webb, becoming the first Irish gym since SBG and Team Ryano to do so. Appearing on the latest episode of Eurobash, King underlined how he felt it was time that he and Fields forged their own identity. “This is something we’ve carefully considered,” King told Eurobash. “Since we’ve opened the club we’ve been fairly independent minded and that’s slowly developed over time. We’ve got to the point where we don’t interact with the larger SBG association, so we feel it’s time to forge our own identity away from that. Fields likened his split from the SBG banner to a breakup. The announcement was in close proximity to a social media back and forth between SBG fighter Conor McGregor and Khabib Nurmagomedov that sparked a debate as to whether the lightweight duo’s rivalry had gone too far. King was quick to underline that the decision to leave the SBG affiliation had nothing to do with the infamous social media interaction. “It’s not a deciding factor at all, by any means. Like I said the decision is something that’s been made over months, probably years. It’s not something that’s just cropped up in the last few weeks. Myself and Chris, we have a certain attitude, a certain culture, we want to maintain that it’s probably different than the culture in a lot of other gyms,” King explained. SBG head coach John Kavanagh and the gym’s main social platform on Twitter often share out the achievements of SBG fighters’ successes, but there was no note of Webb’s Cage Warriors middleweight title capture, despite him claiming the accolade under the SBG banner. While some may have saw that as a nod to a rift between SBG Concorde and the gym formerly known as SBG Swords, King claims that he is unaware of why the accolade was not praised by Kavanagh and the main SBG social media accounts. 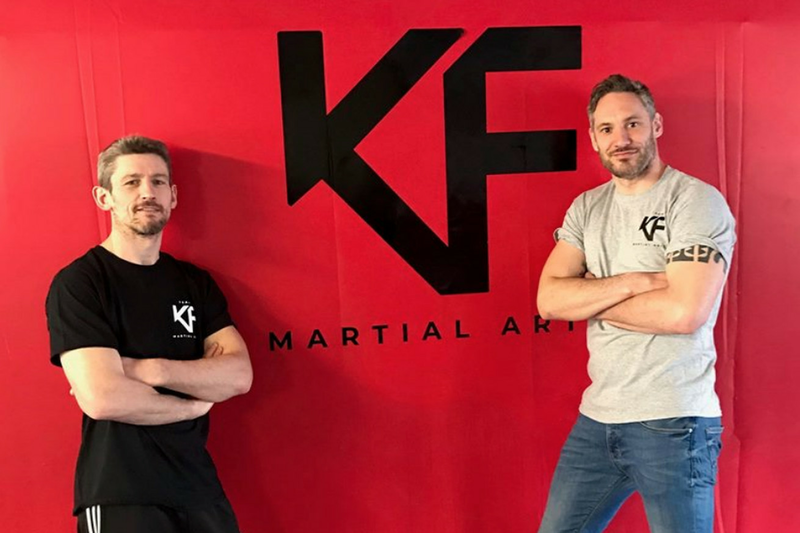 As for other affiliates that are headed by some of Fields’ and King’s close training partners like Owen Roddy, Paddy Holohan, Philip Mulpeter, Peter Queally and Kieran Davern among others, the Team KF head coaches were adamant that their doors will always be open to them. “Obviously, the guys we came up with, the guys we served time in the trenches with, we’ll always consider them our teammates, they’re always welcome to train down here and a lot of them have done and will do in the future. Myself, I’m travelling to Munich next week with Joey Breslin [SBG black belt] to compete. These are guys we’ve trained with for years. There’s no fall out where that’s concerned,” said King. Check out the latest episode of Eurobash. The Team KF interview begins at 57:00.